How do I pair my sensor with my phone? Ensure that your phone’s Bluetooth is on. 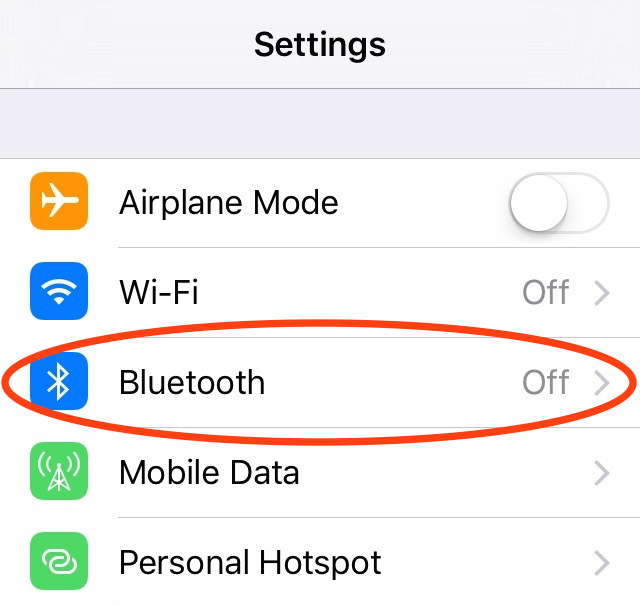 You can turn it on by going to your phone's Settings > Bluetooth or using the iOS Control Center, which you can access by swiping up from the bottom edge of your screen and tapping the Bluetooth icon. On the Shade app Dashboard, a message in the top card reads: Get started by pairing your Shade sensor with the app. Tap the Pair Sensor button. On the next screen, tap the Pair Sensor button again. The pairing process may take a few seconds. If your sensor successfully pairs with your phone, your sensor will vibrate and you will see a blinking purple LED; you'll see a success message on your screen: Your Shade sensor was successfully paired with your app. Ensure that your phone’s Bluetooth is on. You can turn it on by going to your phone's Settings. Most phone models also allow easy access to Bluetooth settings by swiping down from the top edge of the screen. The pairing process will automatically begin; this may take a few seconds. If your sensor successfully pairs with your phone, your sensor will vibrate and you will see a blinking purple LED; you'll see a success message on your screen. **Note: You will have to re-connect after every time you connect to another device with Bluetooth.